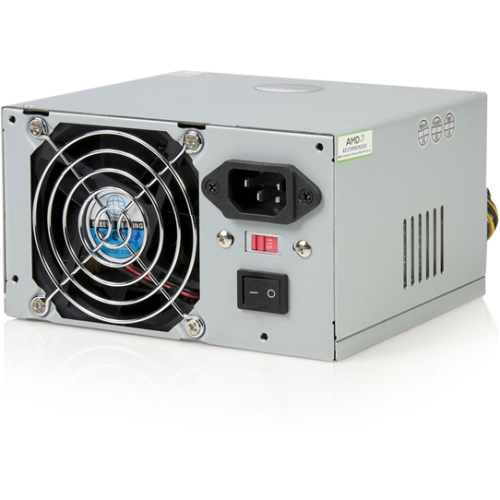 This high quality 350 Watt ATX12V 2.01 power supply offers a reliable PC power solution, with support for modern dual-core CPU designs as well as PCI Express and SATA device connections. Compliant with ATX12V 2.01 revision standards, the power supply offers dual 12V power rails, and ensures broad compatibility with a 20/24 pin motherboard connection. Designed to provide dependable, long-lasting power to your hard working AMD or Intel CPU based system, the 350 Watt PSU is backed by StarTech.com's 2 year warranty and free lifetime technical support. Intel Pentium processors, including Pentium 4, recommended by AMD.